"Sally is fantastic. She is professional, knowledgable and reliable! You are her Number 1 priority at all times. She had my house sold within 3 days - buyer backed out weeks later due to personal problems. Sal had my home re-sold within 24 hours. She didn't skip a beat. I felt calm and totally protected throughout the entire process. I truly believe Sally is one of a kind. Like I said before, totally service oriented with "heart thrown in." The Best Realtor in Bucks! "We were referred to Sally Hammer from a co-worker of mine who had recently sold her home using Sally and she was very pleased. When it came time for us to sell our home, we went with another agency that we had used in the past. After six months, we did not have any showings because our home was overpriced and not in the bracket where we should have been in. When we switched to Sally, she did comps for our area and explained what a fair market price was, and we immediately started having showings. Sally is extremely personable, professional, knowledgeable, helpful, and honest. She is attentive and accessible and worked tirelessly to sell our home at a fair price. We can't say enough good things about Sally Hammer because she is the most AWESOME realtor around and you will be sure she always has your best interests at heart. I have already recommended her to family and friends. If you use Sally, you will not only have the best realtor in Bucks Co., PA, but you will also find a friend as we have." - Cheryl and Jerry Minton. Now residing in Florida. "Sally was amazing throughout the process! She made everything so clear and simple for us as first time home buyers. She always got us in to her schedule and made us feel like a priority at all times. Throughout the process, she was in constant contact and always checked in. After she helped us find the perfect home, she had been and still is in communication to check in on us and how things are. I recommend her to anyone and everyone! She was truly a blessing and made a usually stressful situation very stress free and seamless. She made us feel like her only customer and her knowledge and expertise was truly astounding!!" You want Sally in your life boat! "Sally consulted us on pricing, personally consulted us, staged and listed our home in a professional and highly efficient manner. Her dynamic marketing ability brought us 35 showings and 4 written offers (2 others backed out when they learned of the competition). Our home sold over our asking price in FOUR days, one week before Thanksgiving-in an unprecedented depressed market. Need a little more? On a professional level, we found Sally to be capable, honest, and genuine; committed beyond belief. Her unbiased honesty was both refreshing and comforting. On a personal level, Sally is the kind of human being you want in your life boat. Her boundless energy and honest enthusiasm are both rare and refreshing. Sally is now family. We love her- itï¿½s impossible not to." "We really had a wonderful experience working with Sally. From the very beginning she was very professional and full of useful information. She helped us to stage our home and sold it in about a month! She also found us a wonderful new home that we absolutely love and is perfect for our growing family. Sally was always available to answer questions and guide us through the home buying/selling process. Her professionalism really made the whole process go as smoothly as possible!" Amazing... smart, fun, and patient! "Sally is an amazing realtor! She is friendly and determined, and thanks to her wealth of knowledge on the entire home buying experience, she found us the perfect home. She is truly an amazing person, smart, fun, and patient! I highly recommend her. Thanks Sally, for being you!" "We feel so lucky to have met Sally! We fell in love with her immediately. Not only is she extremely professional and knowledgeable about market conditions, she reads her clients well and understands their pace, likes, dislikes, etc. Plus, she is warm, funny and all around very likeable. Sally took much of the stress of selling and buying off of us and held our hand each step of the way." "Simply the best agent you can find. Totally professional and like working with your best friend." Sally is not only a great realtor, she is a lifesaver! "Sally is not only a great realtor, she is a lifesaver. We needed our house FAST as we were moving across country whether we had a place to move into or not. Sally never skipped a beat and began working for (what seemed like) just us, night and day until we drove up 4 weeks later to our new house. We made our last inspection, talked to some landscapers Sally had arranged for us and then went in for closing and the house was ours! Five weeks from 1st call made from California to moving into our new house in Pennsylvania. It was nothing short of a miracle. All with 100% patience, obvious concern and complete professionalism. Sally the Savior." Sally made the entire process seamless! "Sally made the entire process seamless! She was extremely knowledgeable and helpful on all levels. More importantly, she had our best interest throughout the entire transaction. My wife and I were very grateful to have such an experienced realtor, which we now consider a great friend. I would highly recommend Sally Hammer to all friends and family." "Sally is a wonderful realtor and becomes your best friend. She truly cares about finding you the perfect home. She was patient with us for over a year to find our perfect first home! She is the perfect combo of not too pushy, but hands on enough to get the job done! LOVE!!!!!!!!" My only complaint... I miss her! "I had the experience of working with Sally both selling & buying a home. She has got to be one of the hardest workers in her field and nothing is ever too much to ask of her. She is always there for you both physically and emotionally. She is dependable, trustworthy, detail oriented not to mention funny, sweet, kind and lovable. She made our transition in life a very pleasant experience. My only complaint is that I do not see her as often as I did when we were selling my home and I miss her. What a Lady what a friend. She comes highly recommended by me." Hands down, without question, the best! "We met Sally (Sara) at an open house while we were in the preliminary stages of looking to upgrade. We didn't have a realtor at the time and we got to talking and even thou we weren't ready to buy she offered to take us out anytime we wanted to see other properties that we may be interested in. We took her up on the offer and we never looked back. We've used realtors in the past to buy and sell our other properties and I just want to say that hands down, without question, Sally was the best realtor we've ever worked with. Two traits that we believe are really important in a realtor are accessibility and communication. Whenever we needed Sally for information or questions, she always answered her phone (which is rare in the real estate business). I can't remember one time where I tried to contact her that she didn't either answer the phone or get back to us within minutes. We wouldn't think twice about using Sally in the future again (even thou she already found us our dream house), not only do we consider her our realtor, but our friend too and would highly recommend her to anyone." Sally genuinely cared about ME. "Sally Hammer is truly amazing. She has so many brilliant qualities that I don't know where to begin. I knew from the first time I met her that she was different from all others ... she possesses a unique mix of remarkable qualities that are unsurpassed in the real estate industry ... she is honest, trustworthy, and extremely passionate about helping each and every client ... while at the same time, Sally is creative, hard working and a no-nonsense/skilled, relentless negotiator. Wow, I truly don't know anyone else like her. I found Sally to be on her game every day communicating with me every step of the way during my real estate transaction; she was responsive, resourceful and respectful - even when she probably knew that I was being just a little crazy (LOL). She dug in her heels and went to work to facilitate the best deal imaginable. Results, kindness and integrity - Sally genuinely cared about ME. What more could I ever ask for in an agent and ultimately a friend for life." "Sally helped me buy my first home. We met at an open house when I was just starting to look. I hired her as my agent because she truly sparkles. Truly. She helped me find just the right place for me within my budget. As expected with any first buying experience, there were some twists & turns. With Sally, I never felt alone and everything was clearly explained and outlined. I've referred Sally several times. Smart, organized, focused, attentive, committed, dedicated, and quite importantly â€“ sparkly!" "Sally is a fantastic realtor! She attends to every detail in the selling or buying of one's house and has the highest professional integrity." Sally made the entire experience a success. "The best real estate advice I could have asked for. Sally made the entire experience of buying a home a pleasurable success. I really got an education along the way! Now I'm back ready to sell and Sally was the first call I made." "I have found Sal Hammer to be the ultimate professional realtor. She is genuine and realistic in her approach to our real estate needs. When purchasing a property she is more about making her customer happy than making the sale. In working with her you have the sense she is always on top of the situation but the comfort level is like dealing with a friend. I have recommended her to many friends and family members and always do so without any reservation." Sally went above and beyond when it came to standing up for our best interest! "Sally is an amazing realtor!! She is fun to work with, professional, responsive, and was very patient with my indecisiveness :). She went above and beyond when it came to standing up for our best interest. I'd highly recommend Sally to anyone purchasing a home!" "Sally Hammer is a true professional and we enjoyed every step of our journey with her. Sally is honest, caring and educated on the current housing market. She goes the extra mile to educate you as a buyer and seller. The housing market can be challenging at times to navigate and Sally always educated and prepared us for the next step. Sally surrounds herself with professionals in the industry and always suggests the best when it comes to inspectors, mortgage officers etc. My Husband I would recommend Sally to anyone looking to buy or sell a home, we know that you are in great hands with Sally Hammer and we can't say enough good things about, our interaction with her, when purchasing our home." "Passionate, Determined, Energized, and Friend are just some of the words that describe Sally Hammer. Whether you are buying, selling or both from start to finish there is no one who will get the job done and give you all of her time and efforts like Sally. We put our condo on the market in January, one of the slowest months to do so, and it sold in 2 weeks. For no other reason than having the right person for the job. Sal had amazing pictures taken and made the process for us as sellers extremely smooth. On the buy side Sally took us to houses we liked that had amenities we liked and never tried to push us in a direction we didn't want to go. She even helped in every aspect of the buying process and everyone involved was impressed by her, the gentleman who did our mortgage is a personal friend of ours and he was extremely impressed by how smooth everything went. If you are looking to buy or sell in Pennsylvania or New Jersey you can't go wrong by working with Sally Hammer. She really is an absolute pleasure to work with." 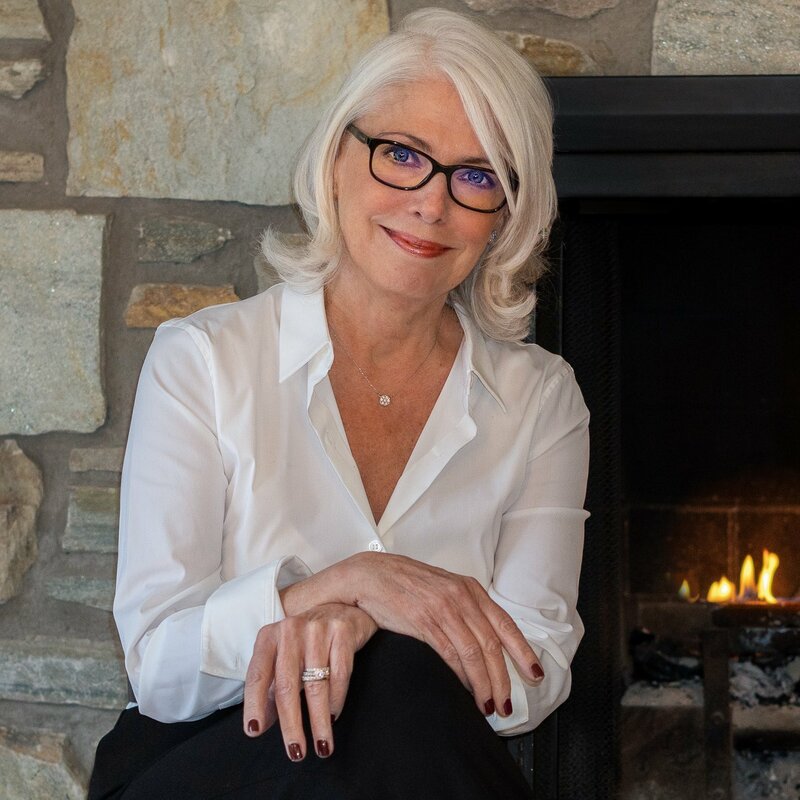 "My husband and I have had the distinct pleasure of working with Sally Hammer when toying with the idea of downsizing... Sally came to me through a referral and she was everything that the referral had mentioned and much much more. First, in a sea of real estate agents/brokers, etc, few stand out. Sally Hammer stands out! Her knowledge, attention to detail, level of unabashed enthusiasm and charisma made our heads spin! Sally listened, I mean really listened to us and to our needs. She is a true professional. She hand held us, she pumped us up, but she kept it so very real. She is truly outstanding." The best realtor we could have asked for! "Sally was the best realtor we could have asked for! She was always excited to show us houses that fit well into our budget and when it came time to purchase she was always available to answer any questions that we had. If a problem or concern happened to arise she would figure out a few different solutions before even contacting us, which made things a lot less stressful! I have recommended Sally to many of my friends and would recommend her over and over again!" "Sally is a pleasure to work with and made buying my First Home a Breeze. AAA Realtor!" "Sally is an amazing, kind, helpful, and attentive realtor! Every step of the way I felt confident that she had my best interest at heart and she was always willing to help me with any questions or concerns I had with the selling process. I never felt pressured to make any decisions. Sally always made herself available at all times of the day/week to speak with me and ease my concerns or to take care of business regarding the sale of my home. She went to bat for me to ensure I was satisfied with my selling experience. I would recommend Sally to anyone as an exceptional realtor!!!!" "Sally is wonderful! She was so caring while getting me through selling my mother's home after she passed away. Sally is the realtor to have!" "Sally is a thorough and professional realtor. Nothing slips through the cracks. She manages all the details. We listed our townhouse in 2011 and got 3 showings in the first 3 days with 3 offers!" "Sally handled our last move and will be handling our next! "Sally was the best realtor I have ever come across. She knows her field extremely well and for that reason we sold quickly. Anyone buying a home would be foolish not to choose Sally." "We have dealt with Sara (Sally) many times and found her services to be professional as well as personal. Sara is an expert in her field and was always well prepared to deal with our needs." "Sally is a wonderful realtor! She is friendly, conscientious, and knowledgeable. She knows her job! She helped my son and daughter-in-law find the first home. Sally's GREAT!" Sally is a premier realtor. "Sally is a premier realtor. She is thorough, honest, and easy to talk to. There is nobody else that we would use! She makes the whole buying and selling experience easy as possible!" "I work with Sally quite often. It's a pleasure to watch her interact with her clients. She really cares and it shows in her enthusiasm as she gets the deal done! I know --I was a client and so were my sister and my brother!" "Sally is a great realtor! She is smart, fun and professional! As difficult as an estate sale can be, Sally managed to get us through it as painlessly as possible!"